UPR Extreme Duty Spherical Bushings are made of super strong 7075 Billet Aluminum and use a "teflon" coated com 12 bearing for maximum part life. Upgraded steel tool sleeves replace the billet aluminum bushings from our Pro Series. 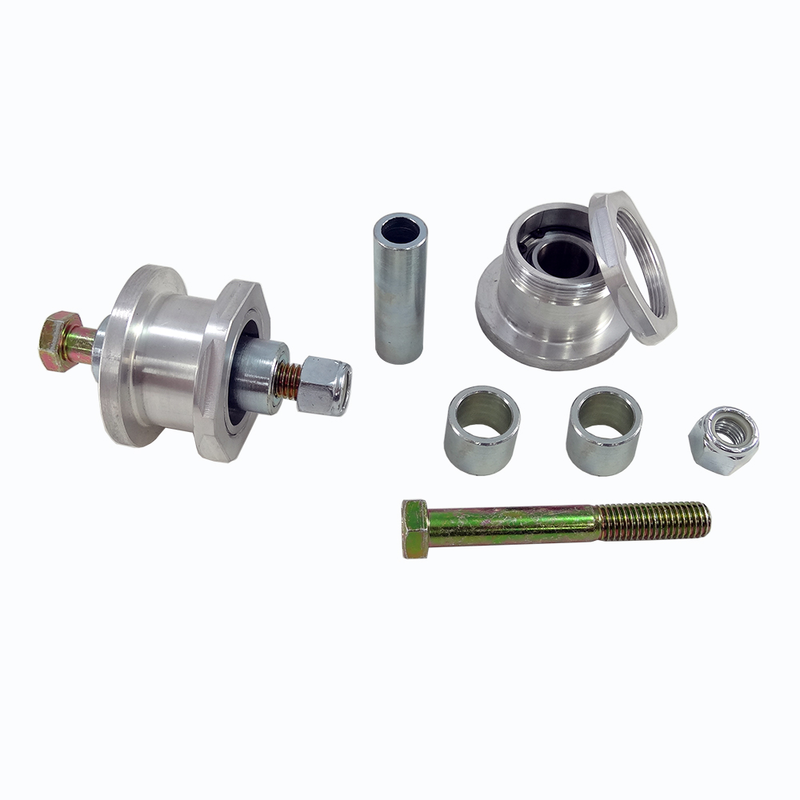 These bushings will let your rear upper control arms and rear end move smoother and faster for more traction every time. 1979 1980 1981 1982 1983 1984 1985 1986 1987 1988 1989 1990 1991 1992 1993 1994 1995 1996 1997 1998 1999 2000 2001 2002 2003 2004 GT Mach 1 Bullitt Cobra* V8 Mustang Steeda Roush & Saleen Vehicles. *Will not work on IRS equipped vehicles No one else can stack up to the bold clean styling of our aftermarket Billet dress ups, Street Strip & Racing Suspension & Performance Parts for your late model American Muscle Car!